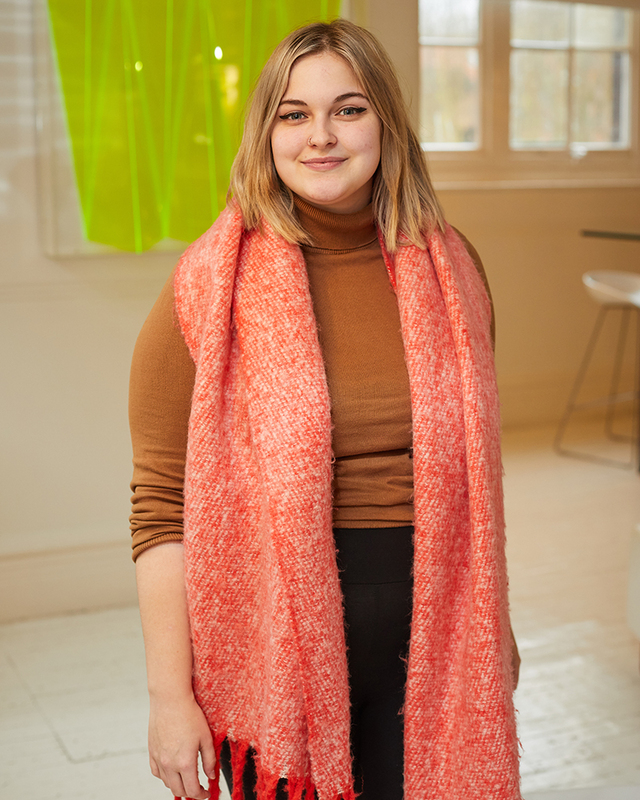 An inside story by BA (Hons) Animation graduate Daisy Morgan, who interned with film and animation studio Curveball Media. Graduating in 2018 with a First Class degree in BA (Hons) Animation from NUA was an awesome experience, but I was unsure about the road ahead. After being in education so long, a life without routine seemed foreign to me. However, I knew that because of my passion for fine art and story there was a place for me within the industry. I didn’t know when or where, but I was ready for whatever challenges lay ahead. My journey at Curveball Media – a Norwich-based company specialising in animation and film – began when I was awarded a Vice-Chancellor’s Commendation for my work with paint on glass (an animation technique) in the Degree Shows. It gave me a lot of confidence in my own abilities and helped me realise that spending my three years at university experimenting, instead of trying to be perfect, had been the best path for me. I discovered that Curveball was one of the companies partnering with NUA to offer new graduates an internship, an exciting prospect as I’d had my eye on the company since Daniel Spencer (co-founder) and Beth Wigg (NUA graduate and animator) gave a talk during my studies. "The industry has a lot of different sectors that will enlighten you in ways you might not have planned. Be focused but also be open to criticism and change." I was passionate about working in a team towards a bigger goal, and knew that Curveball’s values matched my own. I had to apply- when I received the email saying I was successful, I was ecstatic. My brain was buzzing with energy ready to put myself 100 percent into everything that was about to come my way. I wasn’t the most advanced in After Effects or other industry-standard programmes, but the company saw something more in me and I couldn’t ever be more thankful. My first month at Curveball was a buzz of positive energy, lovely people and creative community. I got fully involved in illustration and animation, and enjoyed having a voice and a valued opinion in other projects – it really fulfilled my love for learning. The trust in the office was unchallenged and I always felt comfortable with admitting when I needed help or feedback. The team have such a variety of different strengths that it was impossible to feel stuck for long. By the second month of my internship I was trying to set myself challenges that would put my skills into practice. My ultimate goal was trying to fit a fine art style within an industry that was ruled by time. I wanted my work to be beautiful but efficient. I was trusted with helping out on an illustration style storyboard for a real client project, an amazing hands-on experience that opened my eyes to being creative within the confines of a brief. The end of the road again? By the third month my internship was coming to an end. I had learned so much within the company and was proud to be a part of such a well-oiled team. Well, more like a family. The opportunity to join Curveball straight out of graduation had been one of the most exciting moments in my creative career. I learnt vital software in an environment that encouraged me to do better every day, and showed me in the process just how much I enjoy advertising. But it wasn’t the end just yet. After a successful and eye-opening three months, I was offered another three months in a rolling contract to actually work for Curveball. I happily welcomed the opportunity to grow amongst such a vibrant, talented and individual company. What advice can I share with my peers? My advice to anyone looking for an internship is to keep pushing yourself and learning. If you want to experiment and dabble in different elements of your practice then do that in your own time- it shows passion for your art, which is irreplaceable to companies. Also do not pigeonhole yourself. The industry has a lot of different sectors that will enlighten you in ways you might not have planned. Be focused but also be open to criticism and change as this will benefit you in the long run. Most importantly, hold on to what makes you different. That’s your flare, and refining that and gaining confidence is a good way to bring positivity to your journey of building a career. Everyone’s journey is different.